Estate planning helps to protect the property and assets you have worked hard to accumulate over the course of your life. It also ensures your wishes are conveyed and your family is provided for in the event of the unexpected. However, when taking the first steps in creating an estate plan or making regular updates to existing documents, there is no ‘one size fits all’. It is important to be thorough in reviewing the circumstances surrounding your particular situation with our New York estate planning attorneys, to avoid making mistakes that could end up costing you and your family both time and money. According to the American Association of Retired People (AARP), roughly 60 percent of Americans do not have a will or other important estate planning documents in place. Making sure your will is valid and updated regularly, along with actions such as creating a trust and advance planning directives, provides peace of mind and clear guidance in the event anything happens to you. Being overly trusting. Grief and the desire to retain ownership of certain possessions can lead someone you otherwise trust to overlook certain people you would want to inherit from your estate. Having a detailed will can help to avoid this problem. The same is true in choosing a personal representative to handle these affairs. You want to ensure they are equipped with the skills needed for this important task. Not setting limits for adult children. If you have an adult child who is not good with money or one who struggles with a gambling, drug, or alcohol addiction, the last thing you want to do is leave a large inheritance for them to squander. Establishing a trust ensures they receive what they are entitled to, but allows you to set limits. You could set up periodic payments or specify that certain amounts be used for education, housing, retirement, or even treatment programs. Not including all property and assets. Working with an experienced estate planning attorney can help ensure nothing is overlooked in your will. 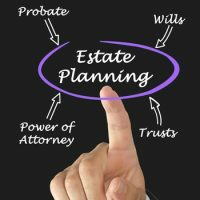 Under New York Probate Court rules, anything not listed would be subject to the rules of intestate succession, which may be contrary to your wishes and can result in lengthy and time consuming probate hearings. Not planning for the unexpected. Considering what would happen in the event of an unexpected accident or illness is important in estate planning. Having the proper documents in place can ensure your wishes are conveyed while making things easier for your loved ones during a painful and difficult time. At Cavallo & Cavallo, we are your neighborhood law firm, providing the legal guidance and assistance you need to protect yourself and your family. To request a consultation in our Bronx or New Rochelle office to discuss important documents you need to have in place, reach out and contact our New York estate planning attorneys today.